Oh my, that was a whole lot of details to watercolor! 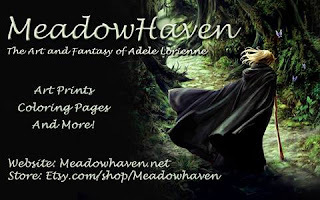 It's my DT creation for this fortnights challenge #162. at Creative Fingers, and the mermaid is a motif from our new & awesome sponsor MeadowHaven. Now for the artsy ingredients! 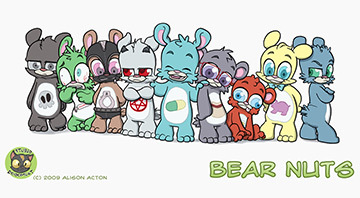 images for projects such as this one. 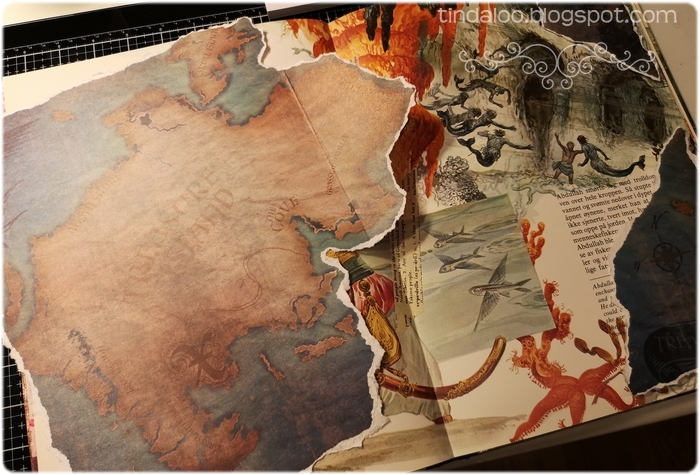 After I added gesso to the bookpages, I dry with a heat tool and start to color in the places I want to hide. When it's completely dry I add my papers. To avoid too much airbubbles I use super tacky tape on the backs and add matte medium glue to the edges. I add texture with Inka Gold through stencils, and then go nuts with ink sprays and dabbers ~ inside a huge cardboard box ofcourse. Stamps/Images: MeadowHaven digistamp 'Leafy Sea-Dragon Mermaid'. 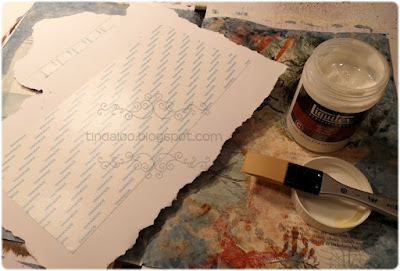 Stampers Anonymous ~ Tim Holtz rubberstampsets 'Mariner Blueprints' & 'Bitty Grunge'. Visible Image CS 'Stay Strong'. Papers: I prefer Canson Montvale aquarelle paper (200 g/m coldpressed) for my motifs. 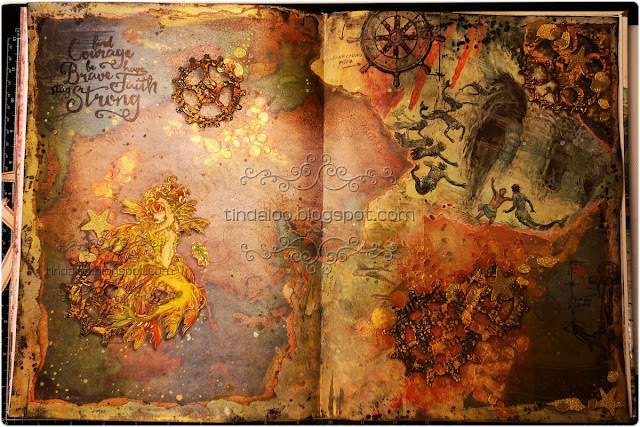 DCWV 'Once Upon a time' Designerpapers. 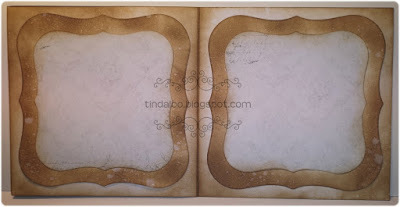 Vivi Gade Creotime Gold Glitter/Metallic speciality paper. 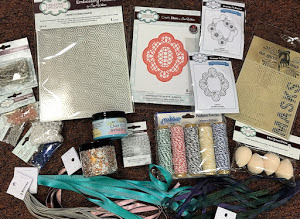 Embellishments: Panduro Hobby Washi tape. Tools: My distress tools from Ranger Ink is always in use ~ Tim Holtz® Mini Ink Round Blending Tool & the Inkssentials Ink Blending Tool and Foams. Panduro Hobby scalpel and self healing mat. 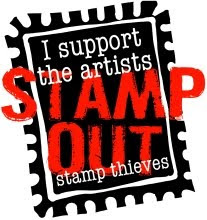 Stencils/Embossingfolders: Maremis Small Art 'CELLS' mixed media art journaling stencil 6x6 ~ 13@rts. 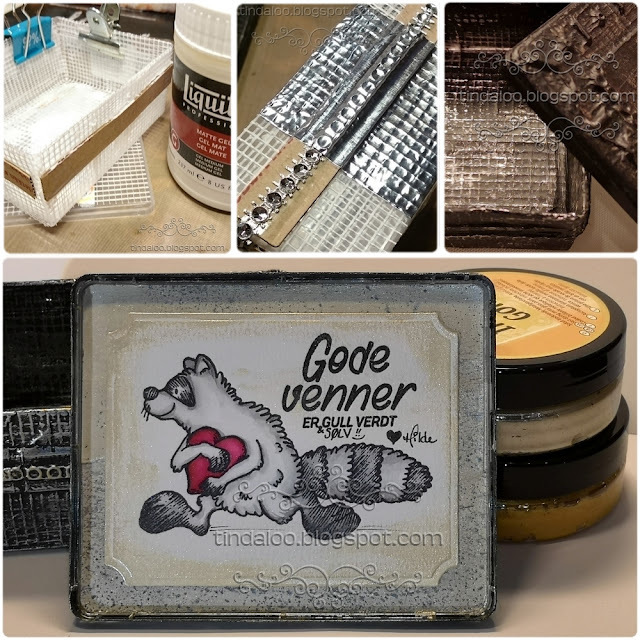 Dies: Sizzix Tim Holtz Bigz Dies 'Gadget Gears' & 'Gadget Gears 2'. Marianne Design Craftables Punch Die 'Seashells & Starfish CR1363'. Essentials/Adhesives: 3D foam/mosegummi. Sookwang High-Tack Double Sided tape from Sor-Pal. Aleenes clear tacky glue. Panduro Gold metallic marker. Permanent black marker. Liquitex Matte Gel Medium ~ glue. Finnabair Art Basics Mixed Media silicone brush. Techniques/Mediums: I used misc. 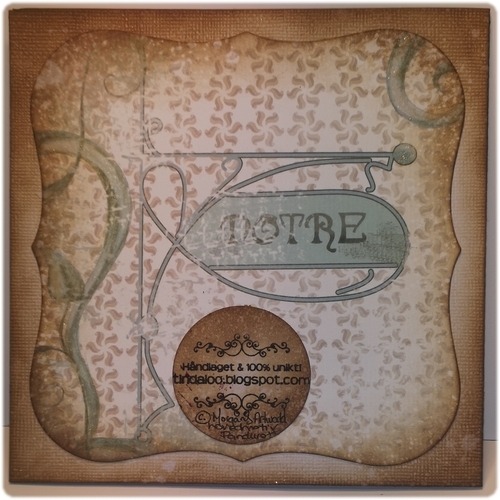 Luminarte Twinkling H2o's Shimmering Watercolors, and Tim Holtz Distress Ink pads to watercolor and distress motifs. Amsterdam Royal Talens Black Gesso. White Gesso. 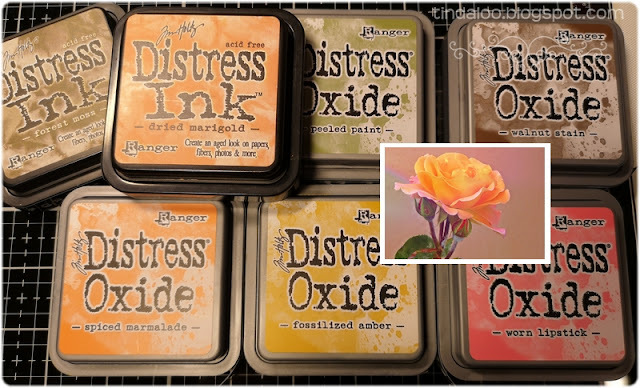 Several brands of spray inks ~ Distress Spray Stains, Tattered Angels Sprays, Tsukineko Walnut Spray Stain inks, as well as some Distress Stain dabbers. Viva Decor Inka Gold wax ~ Copper & Gold. 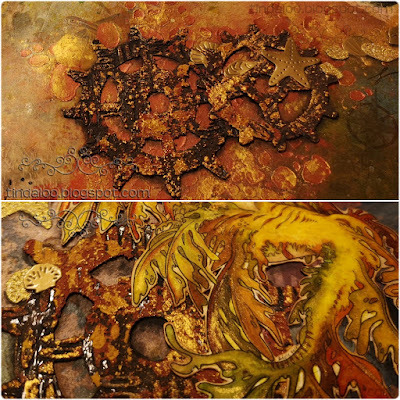 Finnabairs Prima ART EXTRAVAGANCE 'Rust Texture pastes'(Brown, Red & Gold) from Prima Marketing inc.
First I covered the box with meshed tape from a typical 'guys' store, hardware store? The correct name for it is 'Drywall Mesh Self-adhesive tape'. But this I had forgotten when I had to buy a new one because one of my brothers had snatched my old tape! "I want a tape thats full of small squares and has some glue on one side and I want to use it for canvases n craft items, but I know dudes uses it to put on walls.."
I used some extra strong red tape to help adhere it to the plastic Q-tips box and the lid. I also have a metal/aluminium tape bought at the same store, also adhesive on one side. Not sure what guys use this for though, but it is super sticky and such fun to use on tags ~ then put in embossing folders and get amazing results, but thats a project for another day. Next I added a strip of tape around the lid of my box, put down a bunch of beads and bling. The middle piece is just cardboard wich I cut in a crown like shape. More Metal tape on top and then the tricky bit.. To very gently rub down and press around the shapes using a little tool like a q-tip, a paper stump, the rubber end of a pencil or an actual stylus tool for such things ~ u know the ones with a little metal ball tip. I used all of theese, but the metal ball thingy got a bit too scratchy so I used the paper stump mostly. I used Matte Gel Medium to make everything stick together nicely, and painted everything with black acrylic paint (Can use Black gesso instead too), and baby wipes to clean my fingers as well as buff off excess paint. Twice. 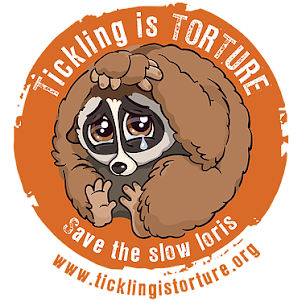 And finally the image on the inside of the lid is a supercute raccoon that apparantly stole someones heart.. ? The text translates to something like: "Good friends are worth both Gold & Silver".. 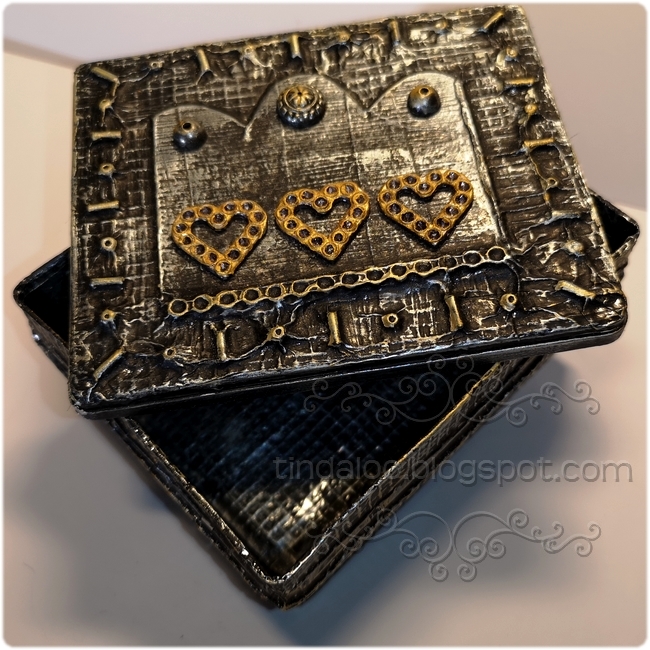 I actually made a similar mixed media project to this a couple years ago, Steampunk Owl Box ~ wich is all in bronze rusty colors, and uses embossingfolders. It too has lots of photos of the process if u want to check it out! Stamps/Images: High Hopes 'Love Bandit' rubberstamp. Kort og Godt CS 'M-386'. Papers: I prefer Canson Montvale aquarelle paper (200 g/m coldpressed) for my motifs. Plain white cardstock. Embellishments: Panduro Hobby mixed beads. a Bracelet I cut up n repurposed. Bling ribbon and hearts unknown - from Europris or Nille maybe. Tools: Stylus Detail Shaper Ball Tool. Q-tips, rubber tip tool, paperstubs. Wet baby wipes. Dies: Spellbinders™ Nestabilities 'Small Labels S4169'. Essentials/Adhesives: Drywall Mesh Self-adhesive tape. Aluminium Metal Foil Self-adhesive tape. High-Tack Double Sided Red Tape (Red Liner/Stix2/Miracle tape). Liquitex Matte Gel Medium ~ glue. Techniques/Mediums: See the blog text above about the process. Viva Decor Inka Gold waxes 'Old Silver' & 'Inka Gold'. 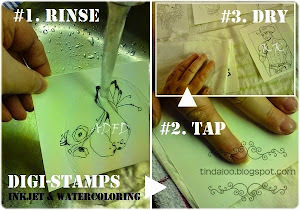 I also used Rangers Tim Holtz Distress Ink pads to watercolor and distress image and splatter papers. Black acrylic paint. 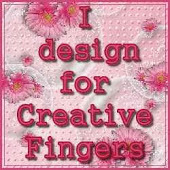 Tenkte hun ville passe perfekt på tag'en / bokmerket mitt ettersom Bugaboo Stamps er vår sponsor denne gang hos Creative Fingers #161. Stamps/Images: Bugaboo digital stamp 'Stella peeker Darth Vader' image and sentiment. 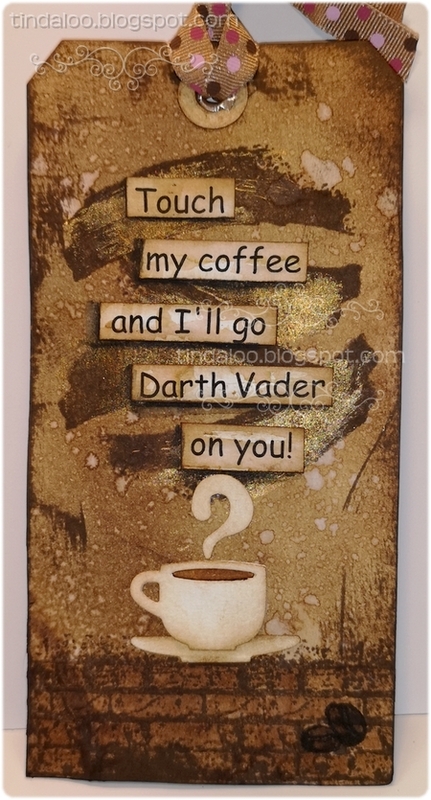 Papirdesign Clearstamps 'Kaffe'. Hunkydory For the Love of Stamps - 'Delightful Decorating'. 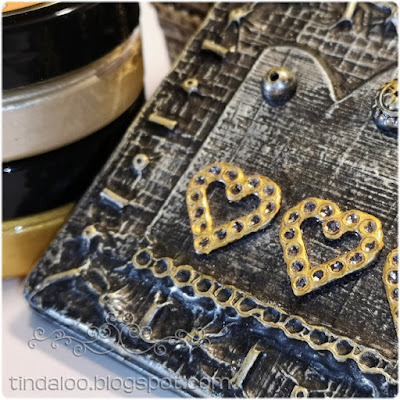 Stampers Anonymous Tim Holtz Large Clingstampset 'Bitty Grunge' (the brick wall). Papers: I prefer Canson Montvale aquarelle paper (200 g/m coldpressed) for my motifs/tags. Tools: My distress tools from Ranger Ink is always in use ~ Tim Holtz® Mini Ink Round Blending Tool & the Inkssentials Ink Blending Tool and Foams. ProvoCraft Silent Setter tool + eyelets. Stencils/Embossingfolders: Simply Cards & Papercraft Magazine - Issue #177. coffee break stencil. 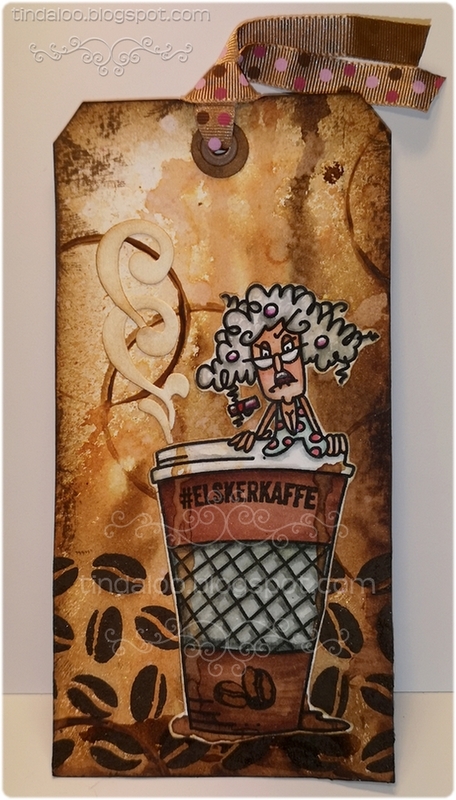 Dies: QuicKutz (new branded as LifeStyle crafts/WRMK) 'QKDS-07 Flourish Dies-sett' and 'QK ks-0592 mug'. 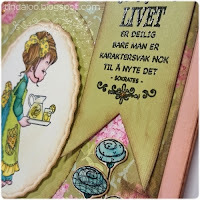 Sizzix 'Tim Holtz Bigz die - Tags And Bookplates'. I used misc. Ranger Ink Tim Holtz Distress Ink pads & markers to watercolor and distress image and papers. 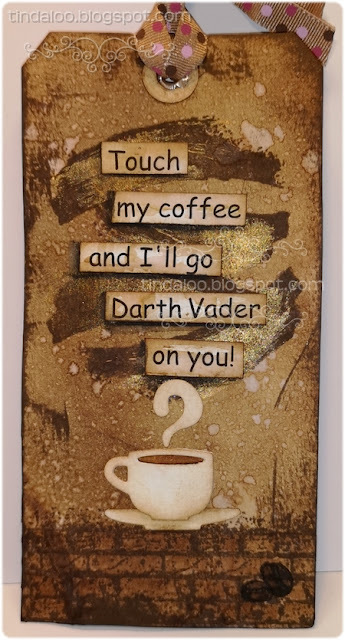 Hero Arts inkpad 'Cup O Joe'. Derwent Inktense black ink pencil to add shading around the text cut-outs. I have a splatterbox (just using a big cardboard box) in wich I sprayed the front of my tag with Distress Spray stains 'Vintage photo, 'Walnut stain' and 'Tea dye'. I mixed the remaining ink together with Prima Art Basic by Finnabair - Clear Gesso, and used some jar lids to stamp the coffee stain rings. The back of the tag has been inkblended, then sprayed with water n dabbed off. The coffee beans was stenciled on with Prima Art Extravagance Finnabair Texture paste - Rust Set 'Brown rust'. Here up in the northern parts of Norway it's still wet and cold, snow is still covering the land and spring seems far far away yet... A few days ago the sun shone so warmly in through my windows, I almost thought spring was upon us! I'm not the biggest 'fan' of the sun, (in fact during summer I shy away from it) but after a long dark winter I really long for some light! But alas.. it was only very brief and we've had stormy weather since.. 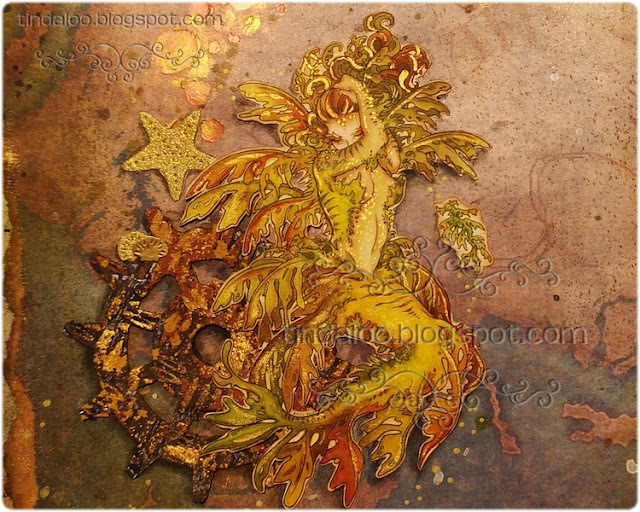 I love Elisabeth Bell's gorgeous images, and I have been collecting them first in rubber then in clearstamps for many years, long before they were also in digistamps! 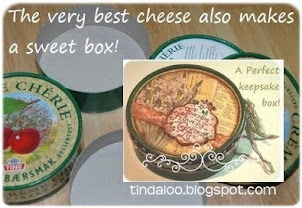 I have followed her through all the companies she's been with ~ Sugarnellie, Whiff of Joy, Belles n whistles, Whimsy Stamps, Stampavie and Ladybug and friends.. plus probably others I forgot about :) Her artwork is always so innocent and sweet, perfect for any occasions and recipient. Stamps/Images: Belles n whistles 'Lemonade Anyone' by Elisabeth Bell. Kort & Godt 'M-260 Verdens beste'. Magnolia 'tygblommor/SO08 Fabric Blossoms' & 'BakgrundsSwirl bröllup'. Whipper Snapper 'Queen bee'. Papers: I prefer Canson Montvale aquarelle paper (200 g/m coldpressed) for my motifs. 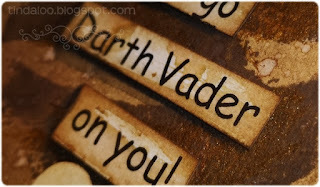 Bazzill cardstock. Plain white cardstock. Panduro Hobby 12x12 paperpad 'Garden Party' Tilda Designerpaper. Embellishments: Flower ribbon & blue lace - unknown. 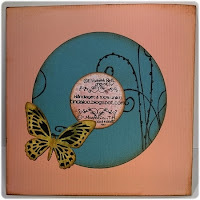 Stencils/Embossingfolders: Crafters Companion Die'sire 'Petite Dot' 6x6 Embossalicious. 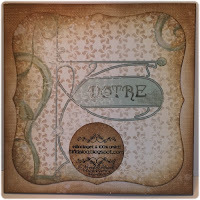 Dies: Spellbinders™ Nestabilities 'Deckled Edge Classic Ovals Large' dies. 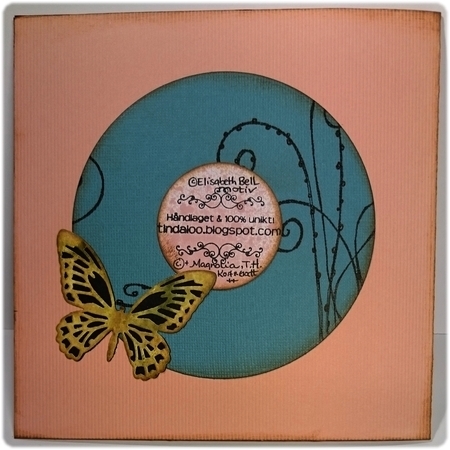 Sizzix Thinlits Die Set 'Detailed Butterflies Mini' by Tim Holtz. 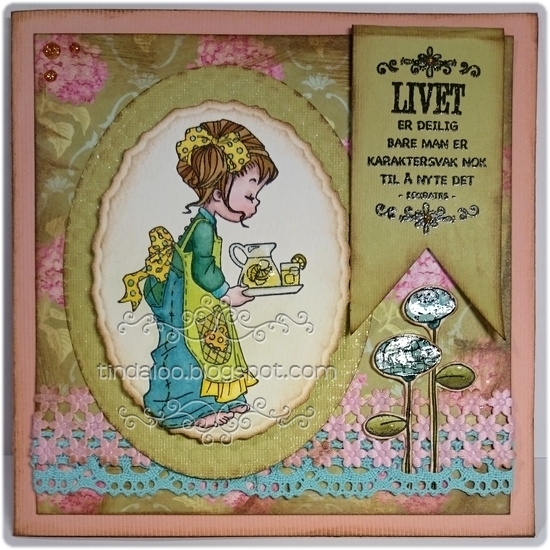 Crafts Too Presscut 'Circle Nest Dies PCD46'. Essentials/Adhesives: Bonefolder. Gluedots. Double sided tape. 3D foam/mosegummi. High-Tack Double Sided Red Tape (Red Liner/Stix2/Miracle tape). Rangers Glossy accents & Stickles 'Sprinkled Sugar'. Tonic Studios Nuvo glitterdrops 'Golden Sunset'. Techniques/Mediums: I used misc. Luminarte Twinkling H2o's Shimmering Watercolors, and Tim Holtz Distress Ink pads & markers to watercolor and distress image and papers. 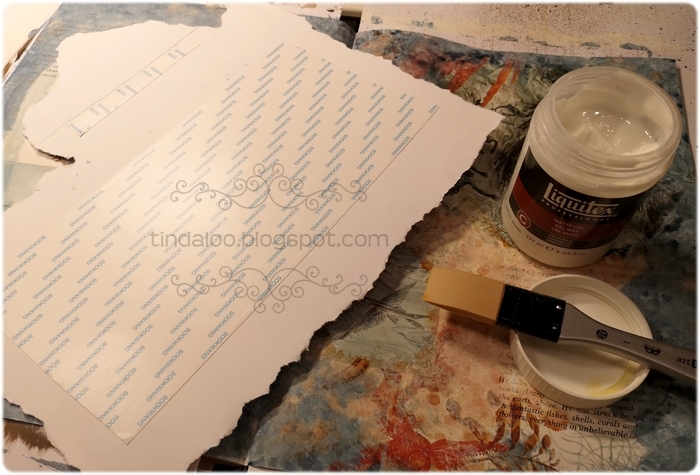 To heat emboss I used a Versamark inkpad, a heat gun tool & Ranger ink clear embossingpowder. Doodling with a black Micro fineliner pen. Here in Norway Mothers day has come and gone, in february, but I like keeping a box of ready made cards for every occasion. And I thought this rose would be lovely for a Mothers Day card. This is my DT creation for this fortnights challenge #160. at Creative Fingers, and the beautiful rose motif is from our generous sponsor Morgan's ArtWorld. 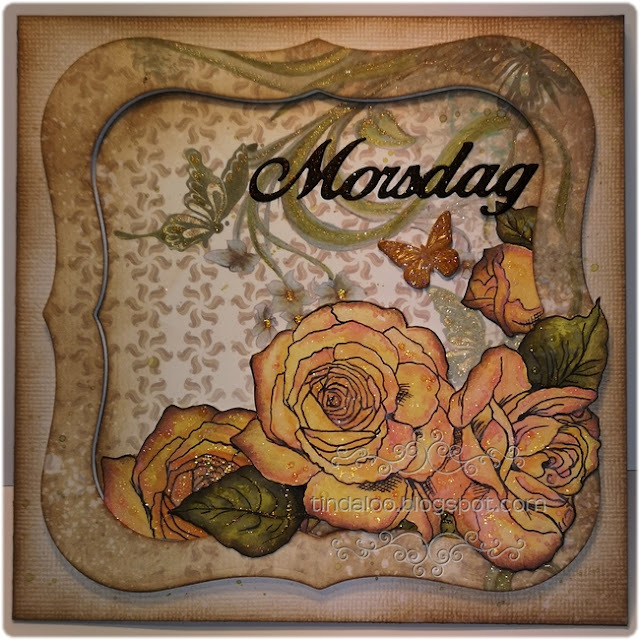 Stamps/Images: Morgan's ArtWorld 'My Rose' digital stamp. Papers: I prefer Canson Montvale aquarelle paper (200 g/m coldpressed) for my motifs. Bazzill cardstock. Plain white cardstock. Designs by Kelly digital papers (inside). 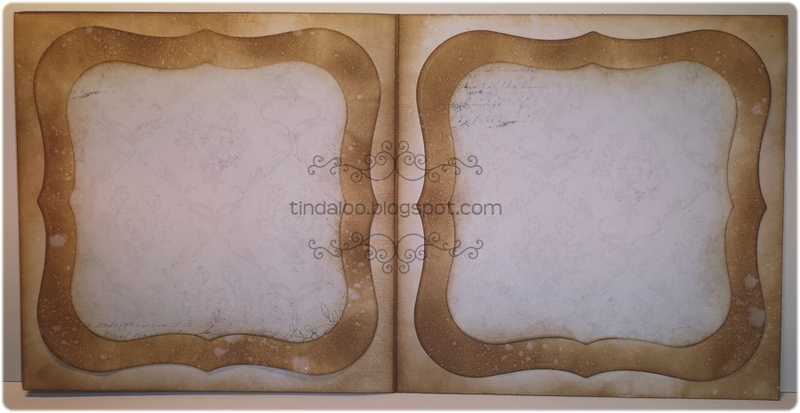 Panduro Hobby 'Garden Vintage' 12x12 designerpaper pad. Embellishments: Paperclay butterfly ~ made using DAS paperclay & Nille Mimosa Home silicone mould. Dies: Spellbinders™ Nestabilities 'Grand Dies - Labels One'. 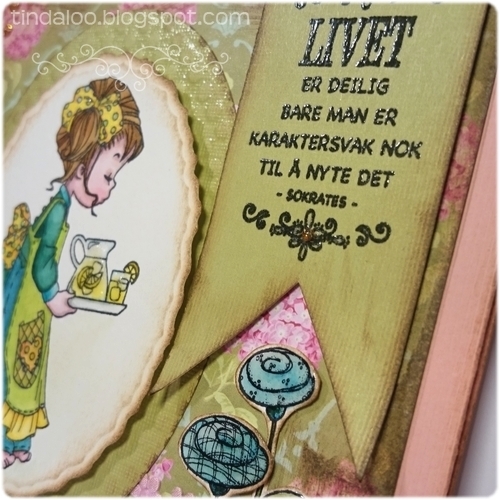 Scrapmagasinet 'Morsdag' die. Essentials/Adhesives: Bonefolder. Double sided tape. 3D foam/mosegummi. Hero Arts crystal clear lacquer glue pen. Tonic Studios Nuvo 'Midas touch' aqua shimmer brush pen. 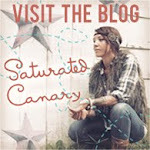 I found this gorgeous photo of a pretty yellow, orange, pink & peachy rose! by cocoparisienne. 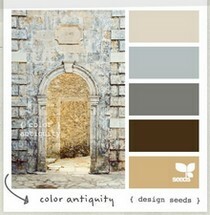 And then picked my cards color palette from the flower. Techniques/Mediums: I used the above Tim Holtz Distress Ink pads & Oxide ink pads to watercolor and distress image and papers. Then added lots of Midas touch gold shimmer, and some 'waterdrops' with the clear lacquer glue. Some of the rose image and frame is popped up on 3d foam tape.